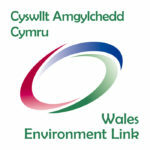 Wales Environment Link (WEL) is a network of diverse NGOs with environmental, countryside and heritage interests, most of which have an all-Wales focus. As an umbrella body WEL represents the shared interests of its member organisations. Its role is to support the many exciting and varied environmental organisations working in Wales to help them achieve their collective aims. WEL does this by facilitating collaborative working amongst its members and with like-minded partner organisations; and by presenting their joint positions on issues to government and key decision makers in Wales. WEL is a respected intermediary body connecting the government and the environmental NGO (eNGO) sector in Wales.